A while back, I had been asked by the Pennsylvania Veterinary Medical Association to write an article addressing 5 of my challenges as a technician. In an attempt to cheat on my assignment, I asked a new employee of the practice, “What did they tell you in tech school would be some of the challenges you would meet as a technician”? He responded that he was told much of the same things that I was told 35 years ago; that he would be met with low salary, a dirty job, and in some practices, a lack of respect. But, he shared that despite all of the warnings, he just knew that this was his path. He also said something like this; “I had always heard from people that veterinary practices were ripping people off. I had heard from friends that have pets how expensive veterinary care is and that vets are only interested in selling people tons of services so they make a lot of money.” But, what he shared next blew me away. He said that what he has experienced is much the opposite. He noted that it seems like an incredible amount of time, energy, thought and discussion goes into tailoring the care to the pet, the family and to their budget. As a senior technician, I could not help but smile. It is so satisfying seeing the shift in perception. Personally, I hesitate to tell strangers what I do for a living because inevitably I, too, will be told about “exorbitant” costs of veterinary care. And, you know what? I get it. It is not easy for me to provide for my own dental care, but my dentist is not driving a Maserati nor does she have a apartment on the Upper East Side of New York City. And very few veterinarians are living the high life. It did my heart good to hear his awareness that we, as a team, consider the costs, the risk versus benefit, the needs of the family and the needs of the pet. This is a juggling act that most veterinarians grapple with day after day, sometimes minute by minute. It is critical that we, as professionals, offer to walk through the pet care decisions hand in hand with our clients. The recent news of a Pittsburgh area veterinary practice that is being sued for extracting 37 teeth total from two Yorkshire Terriers will probably learn this lesson the hard way. Although, I have not seen the medical records, I don’t doubt the need for those extractions were real. But, it is my belief that that client deserved to participate in the medical decisions and the costs incurred. That is why I have never been a fan of that three tiered consent form; A. perform whatever care the veterinarian deems necessary, B. spend only up to $_________ or C. call me before any extra care is provided. I am a healer. 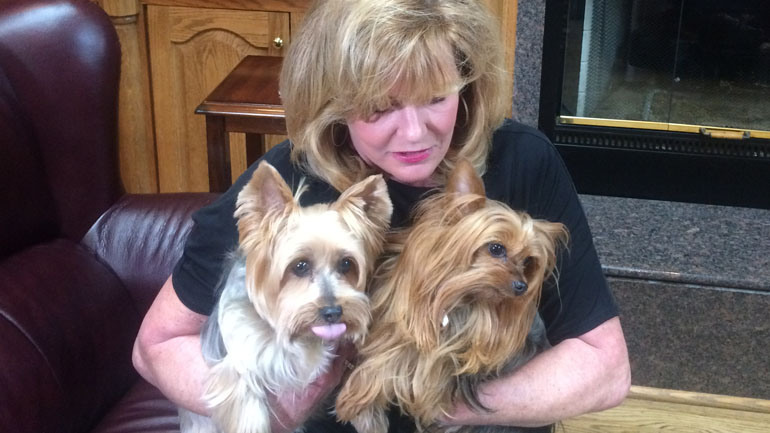 By not educating and partnering with the owners of those two yorkies, that practice has lost the opportunity to ever offer to heal those patients again. As a matter of fact, in this day of digital news and social media, they may have lost the ability to heal many, and, that is what we were chosen to do. Unfortunately, if we don’t help the public figure out ways to afford the care required by those pets, then the pets will suffer. That is why I recommend spending time discussing pet insurance and CareCredit while these pets are juveniles. It is not a bad idea that we suggest that people start a pet health savings account for their pets. Whether we like it or not, our pets are living beings and the inescapable truth is, there will be a cost required to maintain the health and comfort for that furry friend. We have the unique opportunity to honor the emotional and financial needs of our clients as well as the pets. If we can find a way to live from that place, maybe the motives behind our medical recommendations will not be questioned as often. *If any of this information was useful or you would like to see similar content, “LIKE” the Pet ED Veterinary Education and Training Resources Facebook page and subscribe on the HOME page of the PetED website to receive upcoming newsletters and news. If you feel friends or colleagues would benefit from or enjoy this article, feel free to share on YOUR Facebook page.